When major storms impact a certain area, it is inevitable that flood damaged cars will hit the market and most of these cars won’t stay local to the flooding. 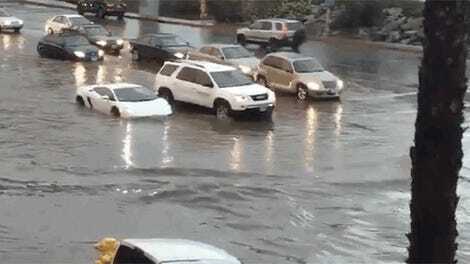 Here are some tips for avoiding cars with severe water damage. CarFax claims that there could be upwards of 800,000 used cars on the road that may be involved with “title washing,” a practice where someone illegally alters documents on a car that was salvaged or totaled. Often these cars are damaged in states affected by major storms, then moved elsewhere to be sold to unsuspecting buyers. Of course, this is a great plug for a company like CarFax who charges dealerships and customers a fee to run these reports. But keep in mind there are other organizations that give detailed vehicle history reports, like Autocheck.com and these reports do not always tell the full story. They are your first line of defense, but more diligence is necessary. I have mentioned before that it is critical to have any used car you buy from either a private seller or a dealership inspected by an independent mechanic. Any resistance to this idea on the part of the seller is a major warning sign. 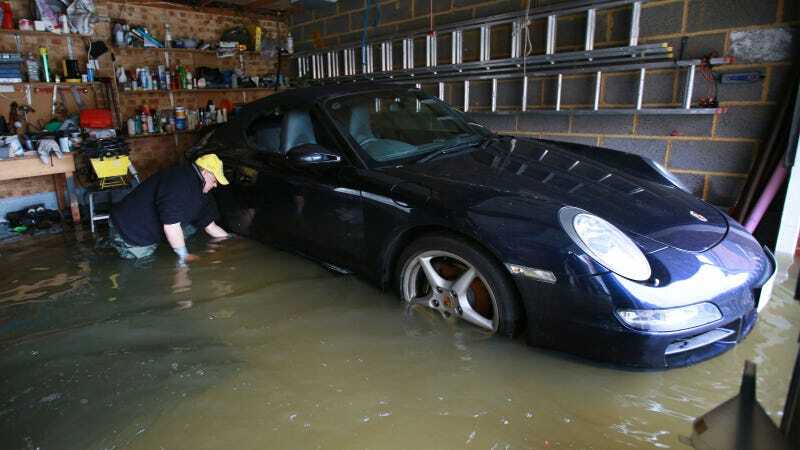 Given that many of these cars are flood damaged, there are a few things you as a buyer can look out for when inspecting a vehicle. Is it wet, damp, or muddy? If you see or feel any type of significant moisture or even dried mud on the seats, floors, glove compartment, tracks of the seat, or in the trunk, that car was most likely flooded. Also, look for moisture build up or fog on the front and rear lights and the instrument panel. 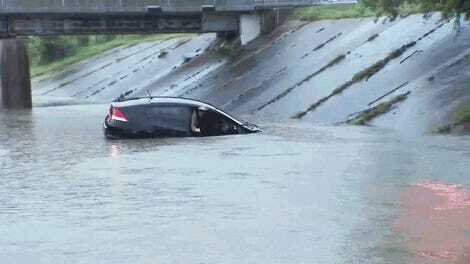 Often flooded cars will have a musty odor in the interior. Get your nose real close to the carpet, does it have a mildew or even a low tide scent? Trust me, no amount of Fabreeze can get rid of that. Check for stains on the floors and upholstery, especially under the front seats; often people that are selling these flooded cars do a quick “once over” and don’t get the hard-to-reach spots. Pay close attention to carpet or material that looks like it was cut and re-sewn. Some cars with age on them have small amounts of rust that can be seen. However, if the wires under the dashboard or components in the engine compartment have significant rust on them that is a major sign of water damage. One place you should definitely look is in the trunk where the spare tire sits, most scam artists will clean the trunk carpet but will forget to lift it and take care of any damage underneath. If the spare tire area has any mud, water, or rust this is most likely a water damaged vehicle. And remember just because your area was not affected by floods or storms doesn’t mean that those vehicles won’t end up for sale there.